The SpellForce series is returning this year as Nordic Games return to their roots to bring SpellForce 3, a blend of RTS and RPG gameplay, to the market. The action takes place prior to the events of SpellForce: The Order of Dawn, with the prequel set to immerse players in the lush fantasy world of Eo. Now, ahead of a feature at E3 next month, the developers have spilled the beans on some of the gameplay and mechanics that we can expect to enjoy in SpellForce 3. As with previous games in the series, players will create a hero from scratch and be able to customize and develop their skills through campaign quests. The hero can then be teamed with other characters to form trios of heroes to explore the game world with. The map will be split into three sectors, and the player’s base within this will grow organically. New sectors can only be conquered if they are connected to the base or to another owned sector, and the transfer of materials and resources will then happen mechanically via transport. As a result, this means you’ll have to choose where best to distribute your wealth and resources with smart management. 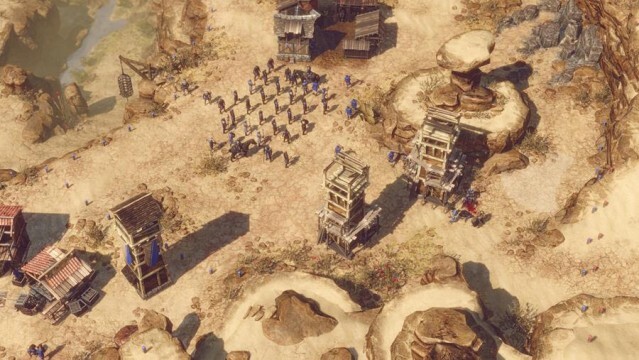 Full sectors can be overthrown and overtaken in SpellForce 3, and players can set up manageable outposts and camps at each of these in order to maximize effectiveness. While this may sound daunting, Nordic Games have said they are very keen to get the right balance of RTS and RPG mechanics in their game. With this in mind, resource and unit management will be much less “hectic” than in true strategy titles, making the whole thing much more accessible. SpellForce 3 is due for release before the end of 2016, and we’ll bring you more news on the features of the game as it comes to us.